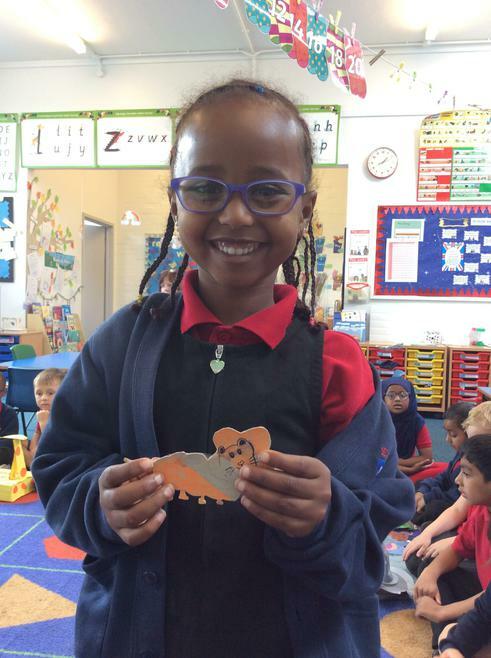 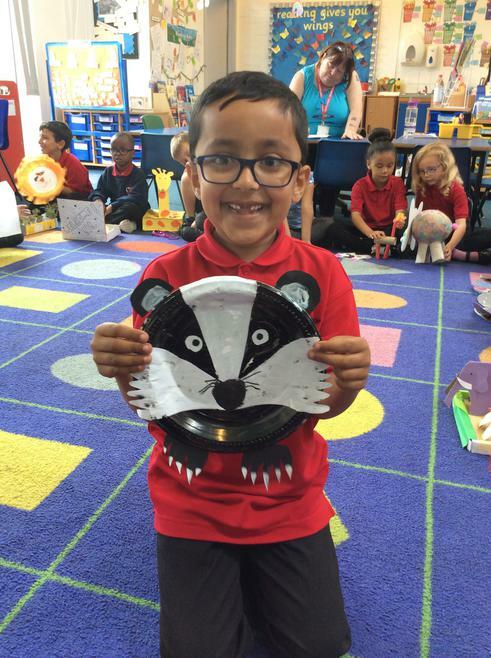 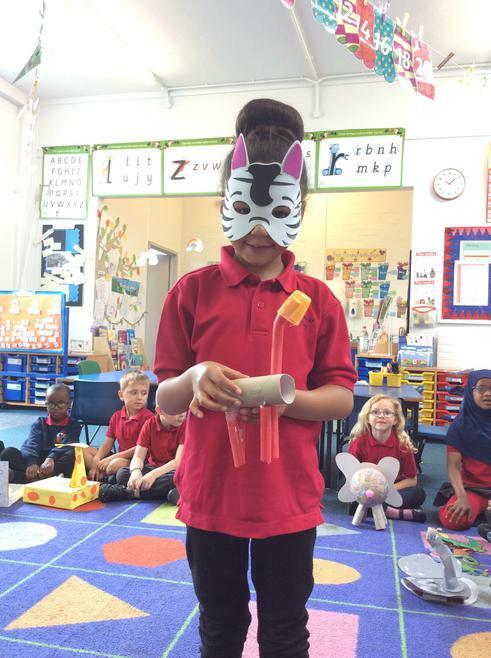 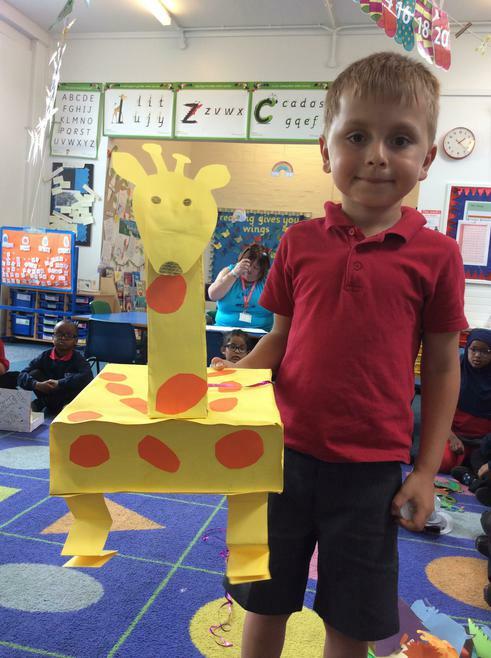 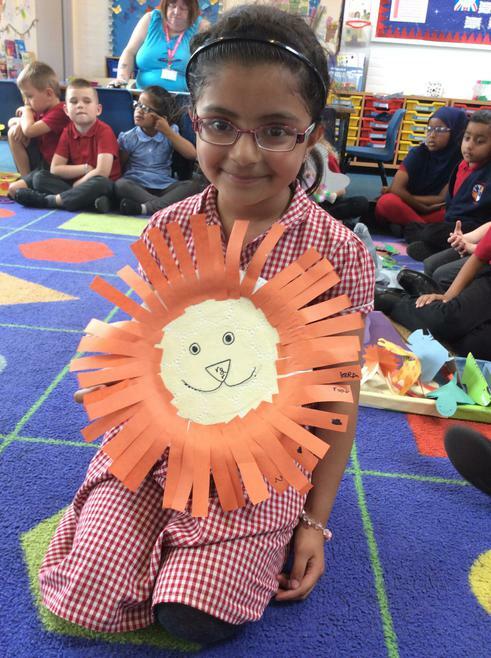 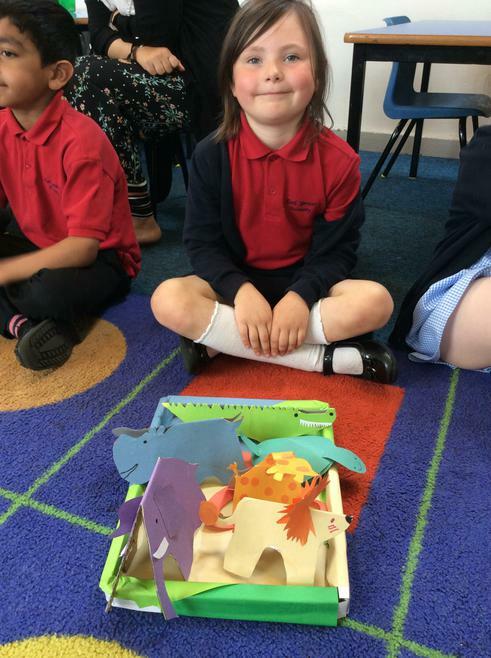 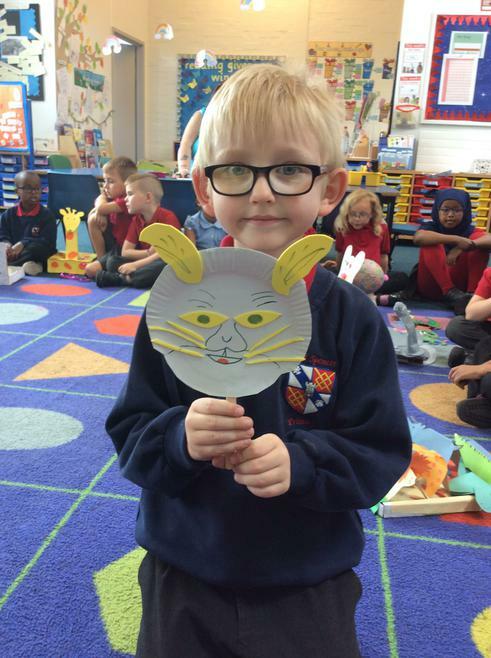 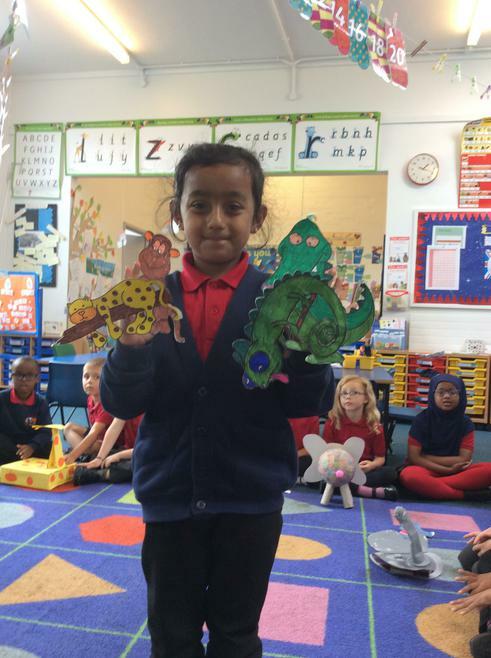 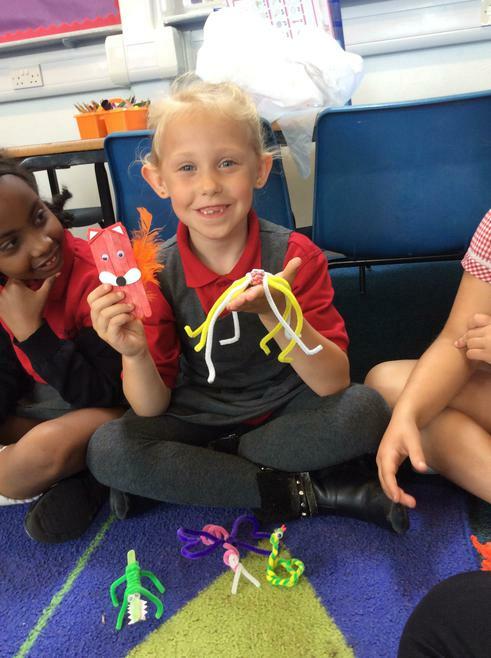 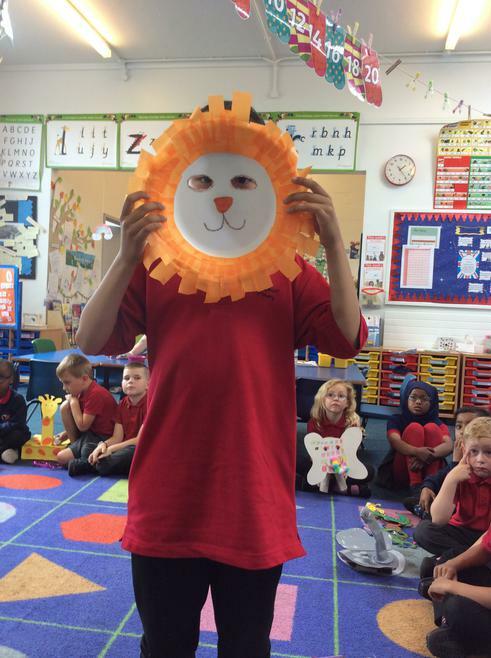 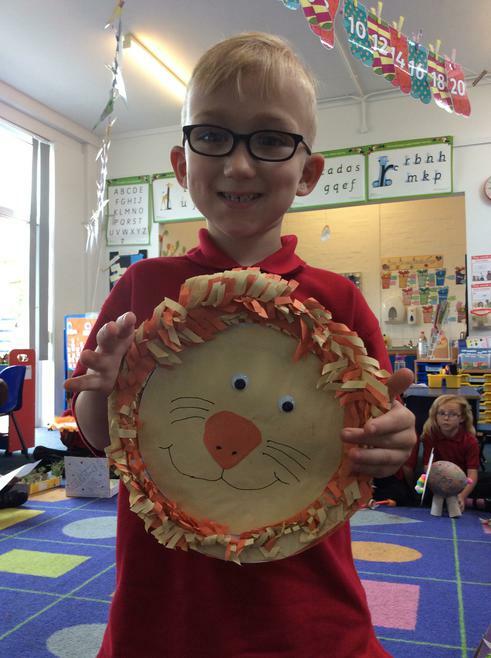 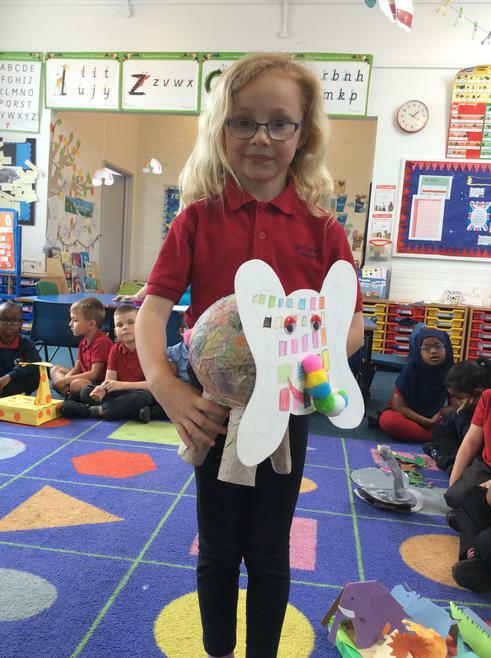 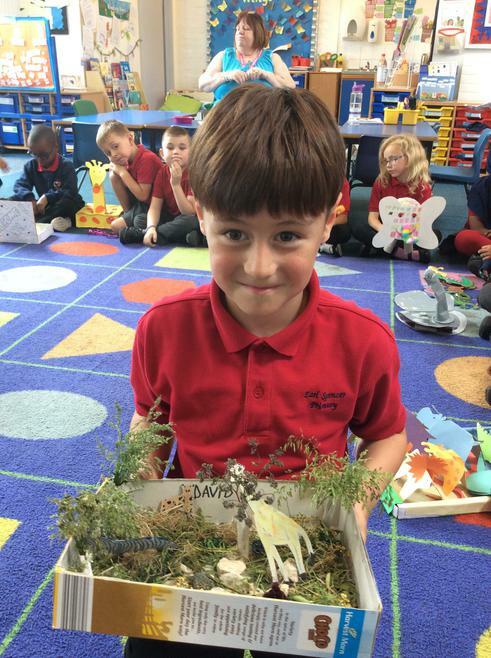 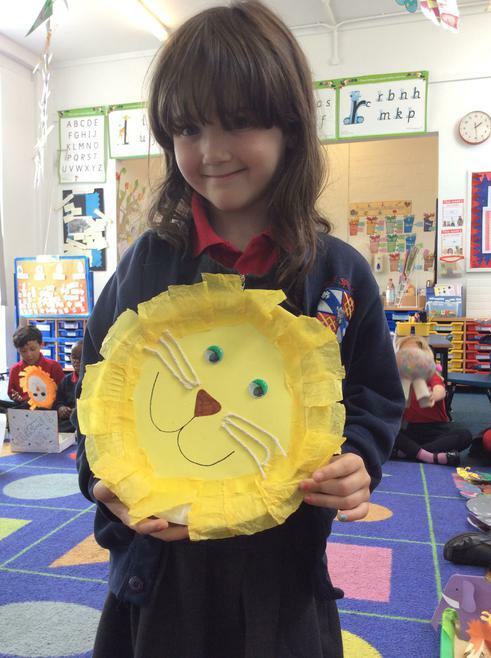 The children made some lovely things in the holidays that all link to our new topic Paws, Claws and Whiskers. 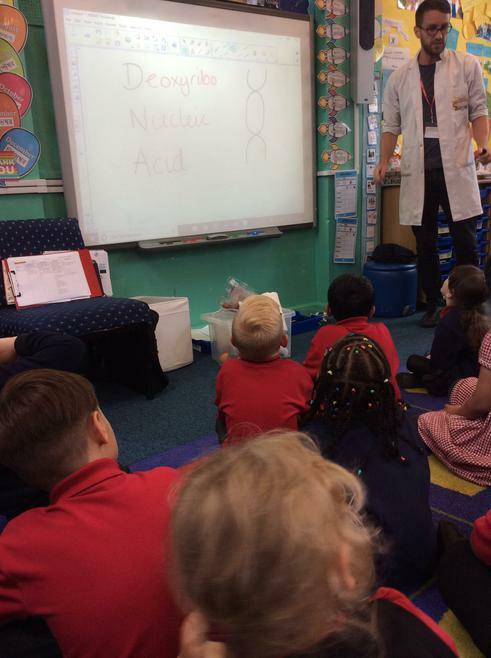 Cosmic Chris payed us a visit this term and taught us all about DNA. 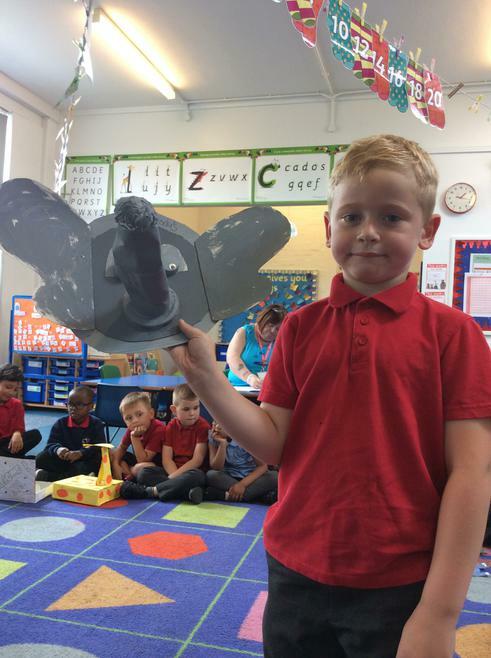 This was a tricky subject but the children showed enthusiasm and really payed attention to all the information he told us. 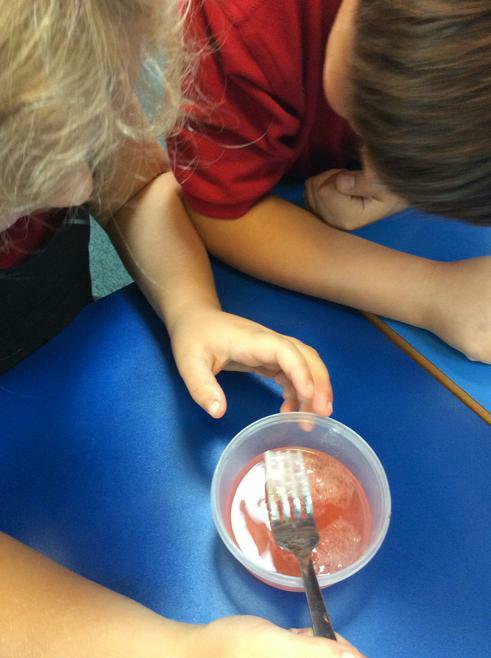 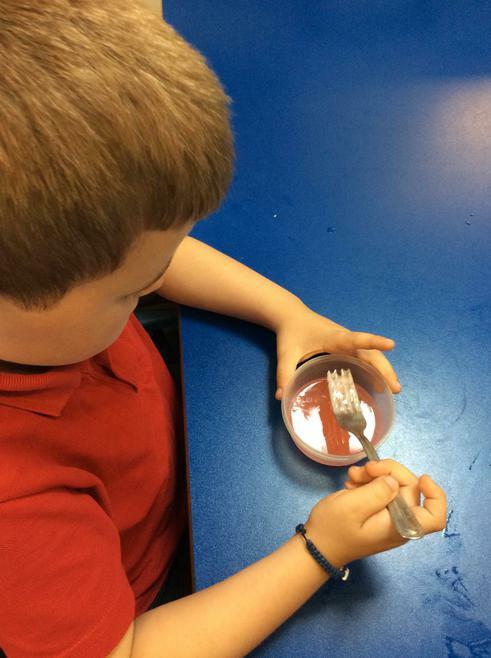 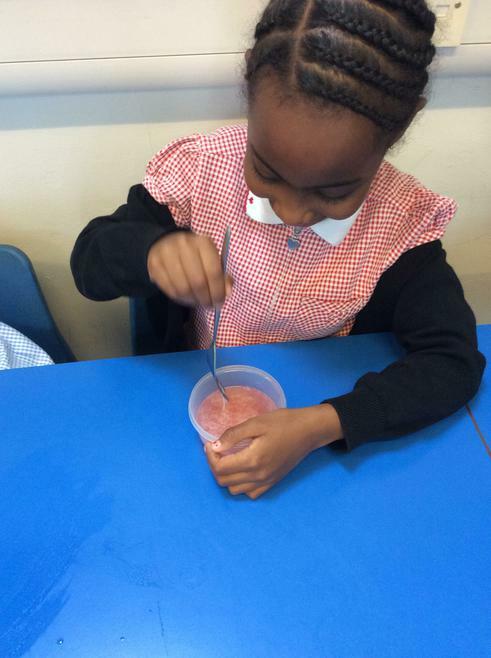 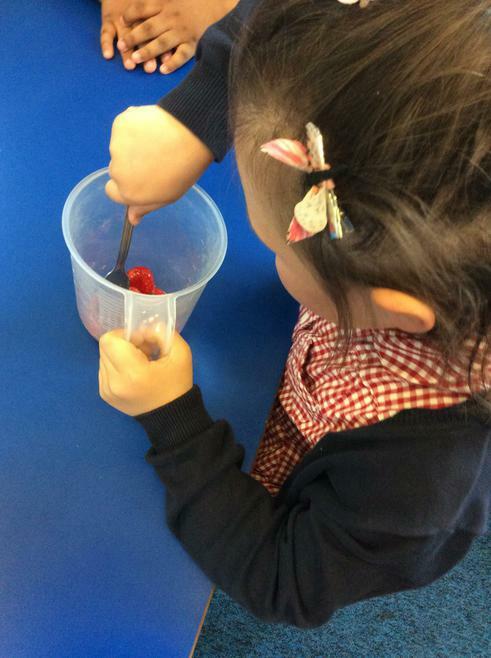 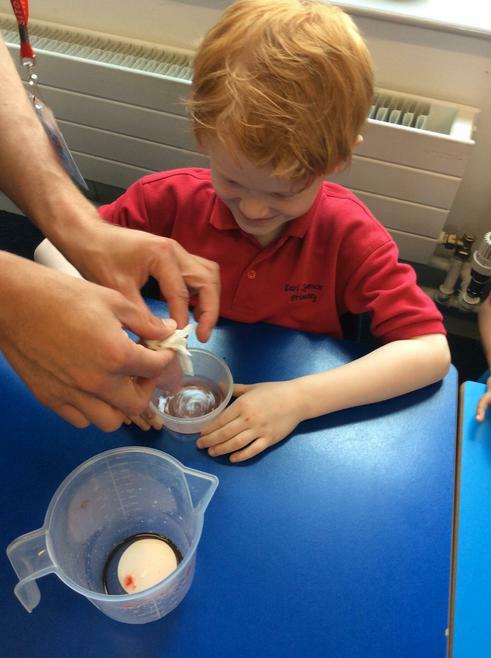 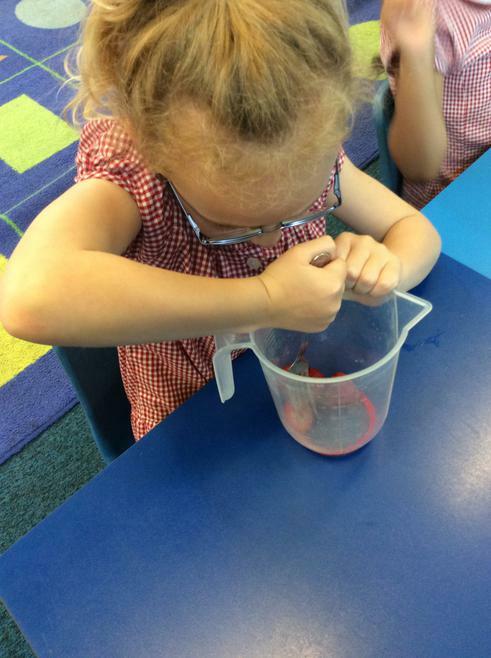 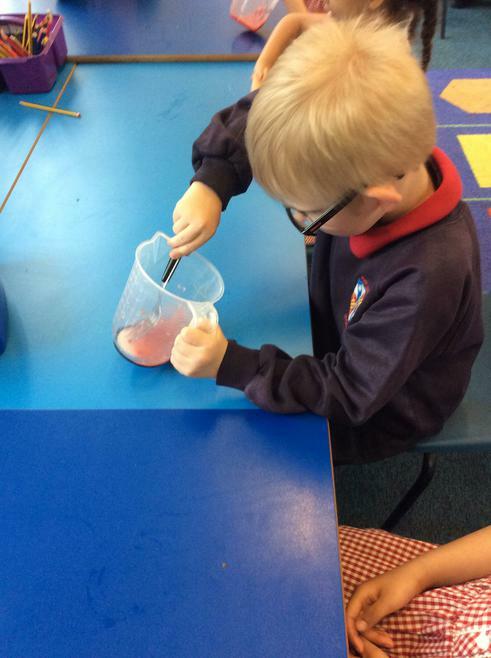 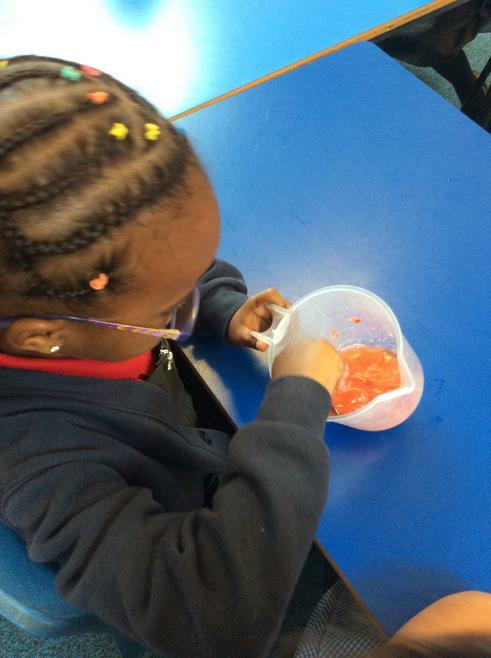 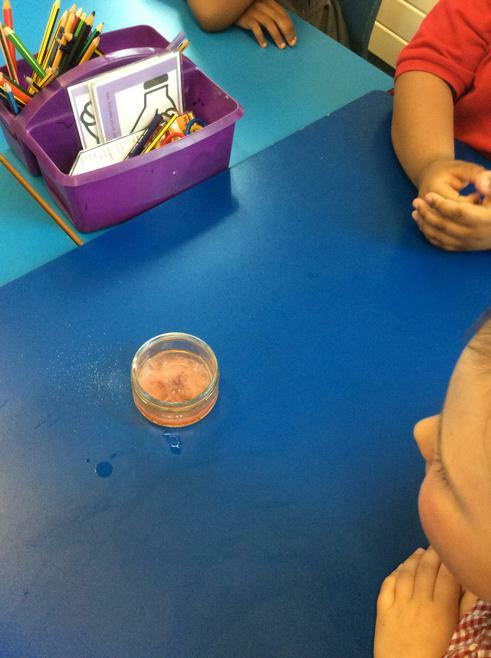 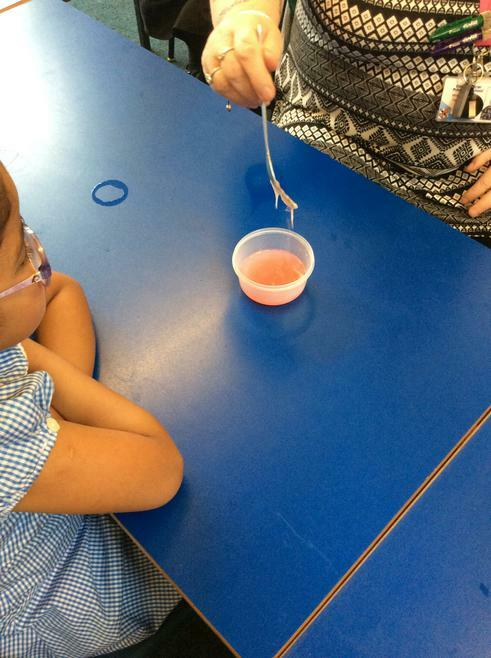 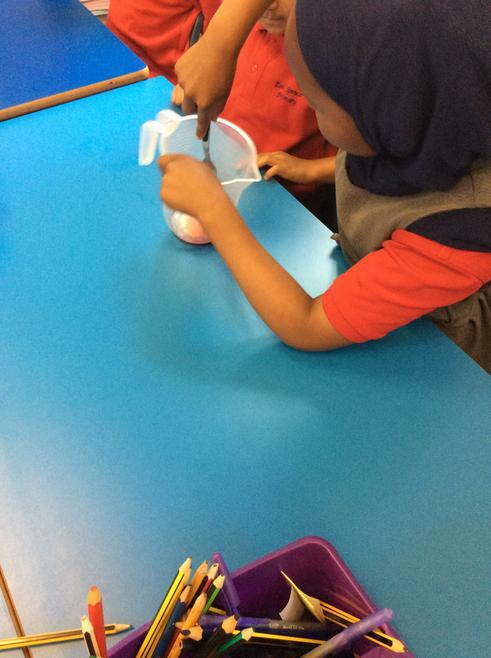 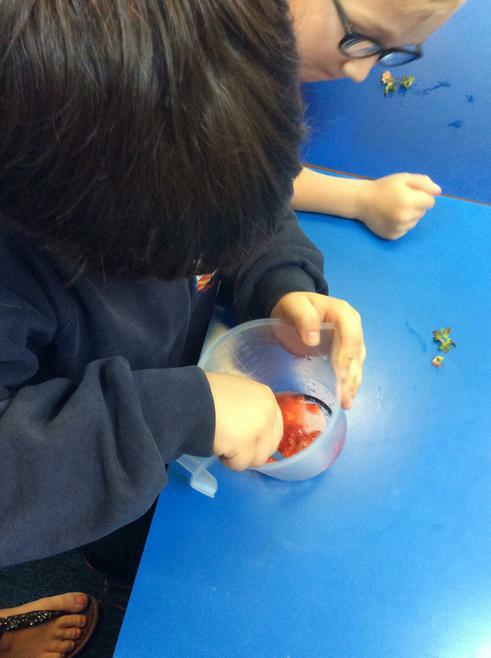 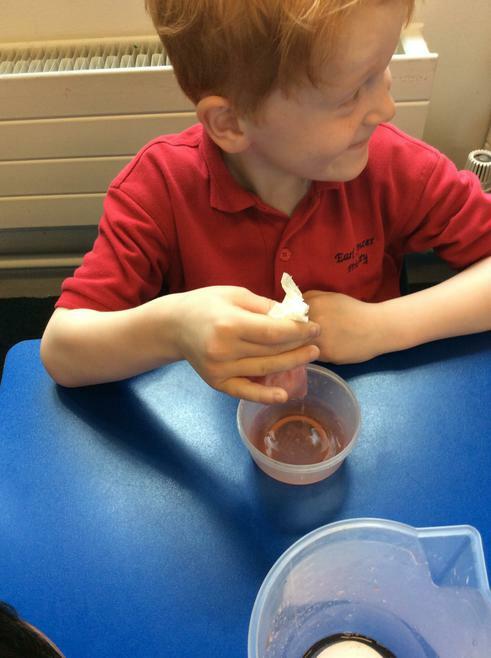 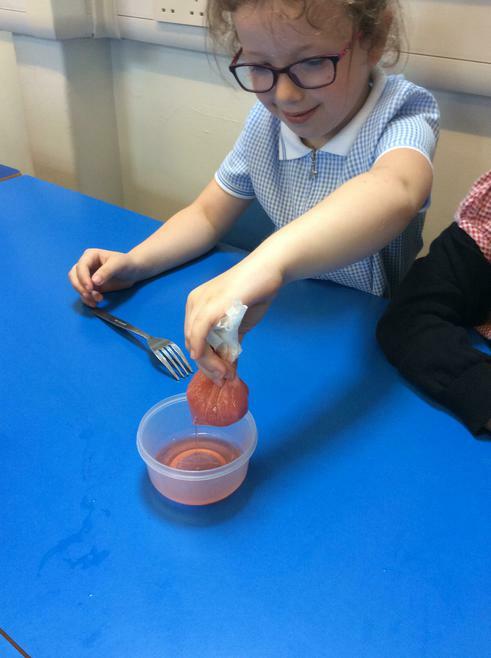 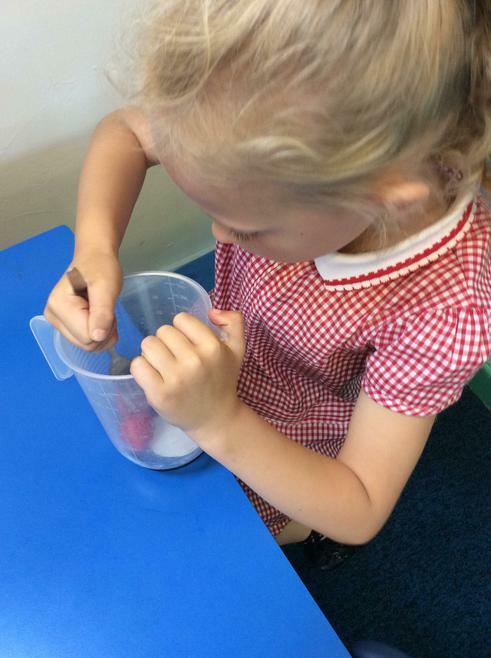 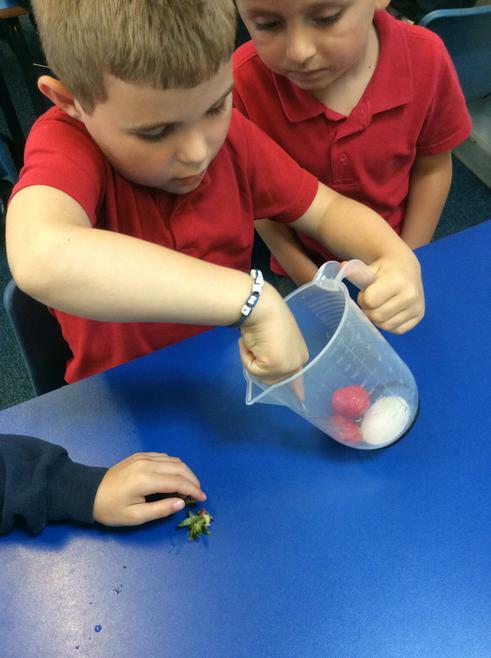 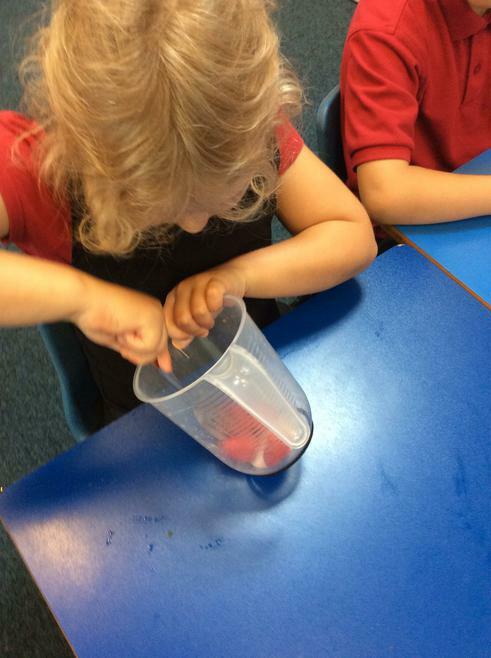 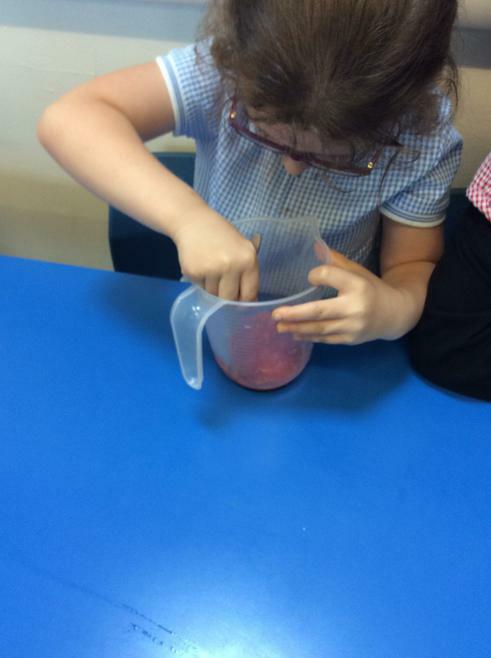 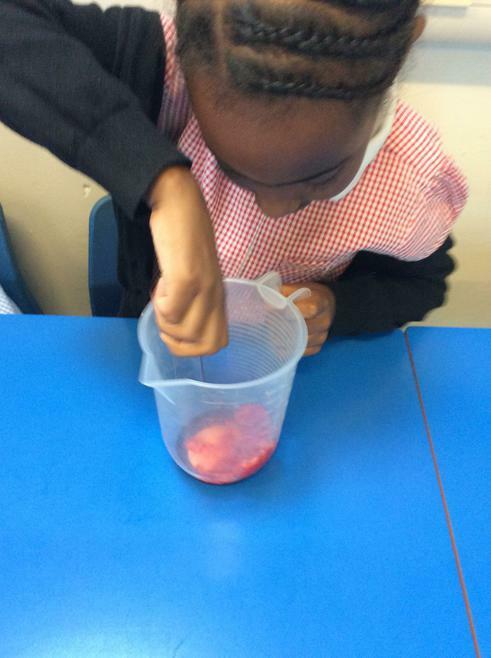 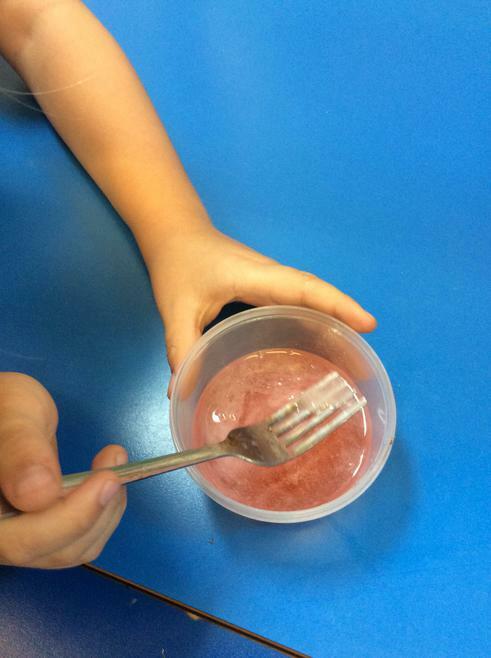 They then had a go at looking at DNA from a strawberry. 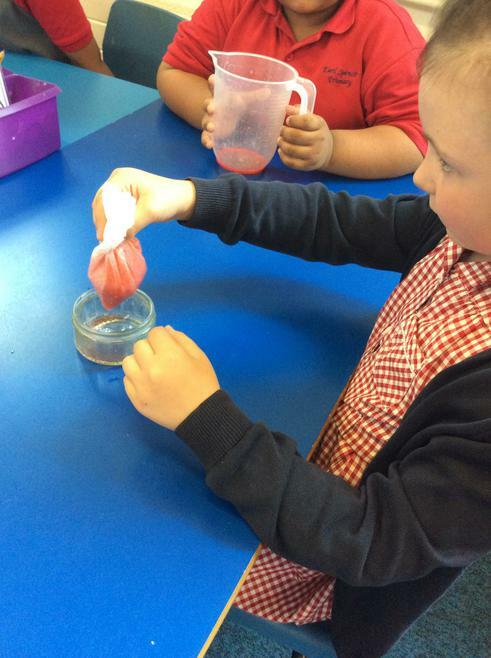 They had to crush the strawberry so it went into a liquid and then cosmic Chris poured a special solution into it and the DNA turned into something that was white and stringy. 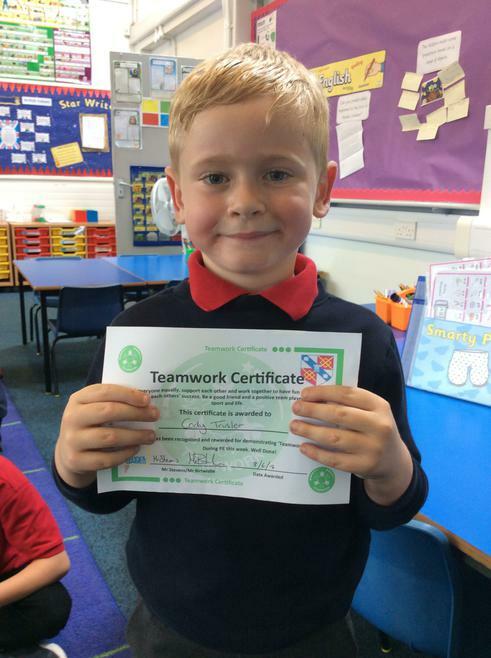 Cody won the first PE award of the term for his excellent team work in lessons! 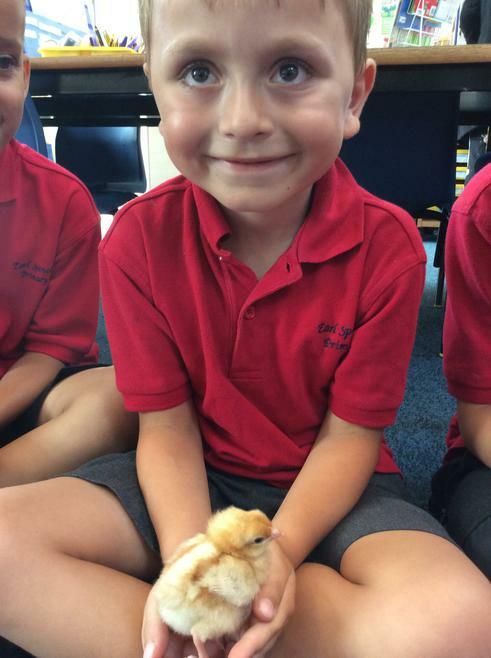 Well done Cody! 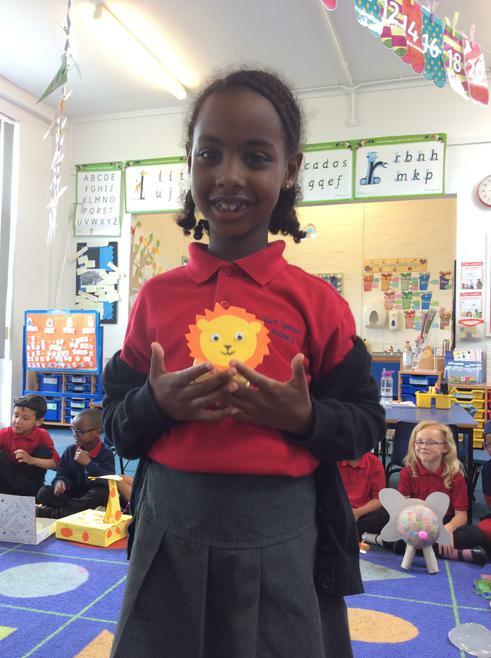 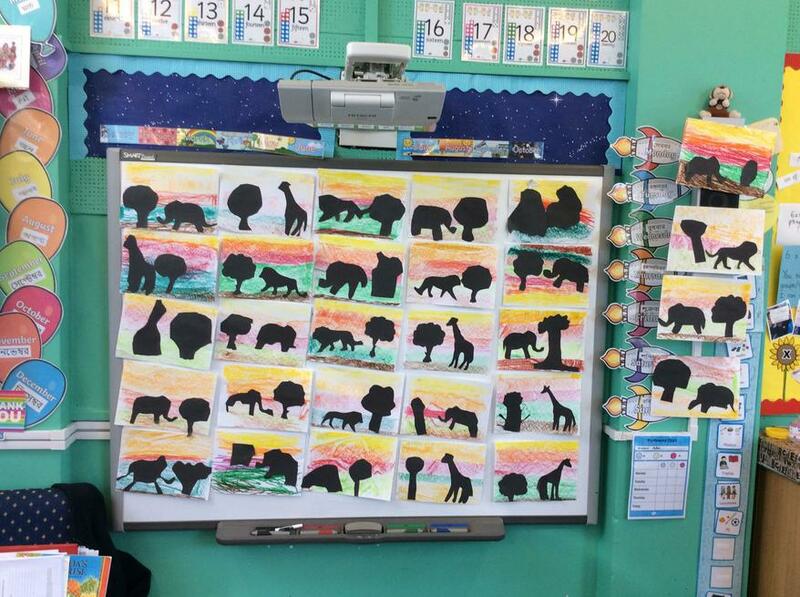 As part of our topic the children created their own African sunset pictures. 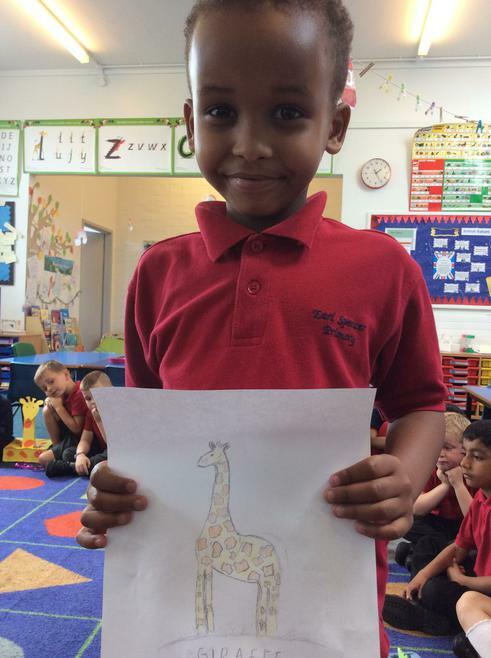 They used oil pastels to creat the background and cut out sillohettes for the tree and an African animal. 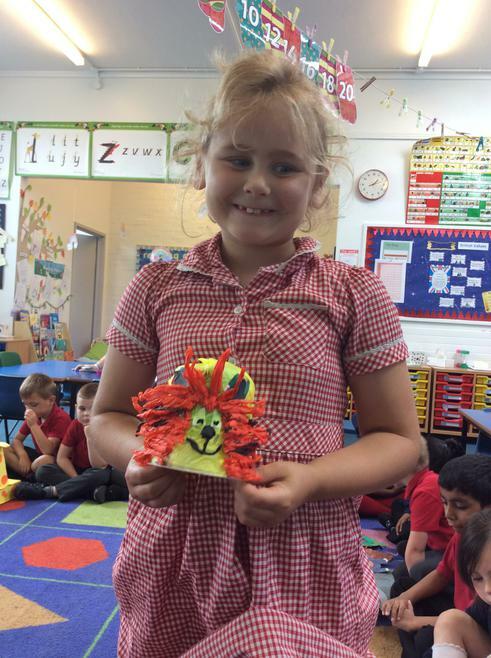 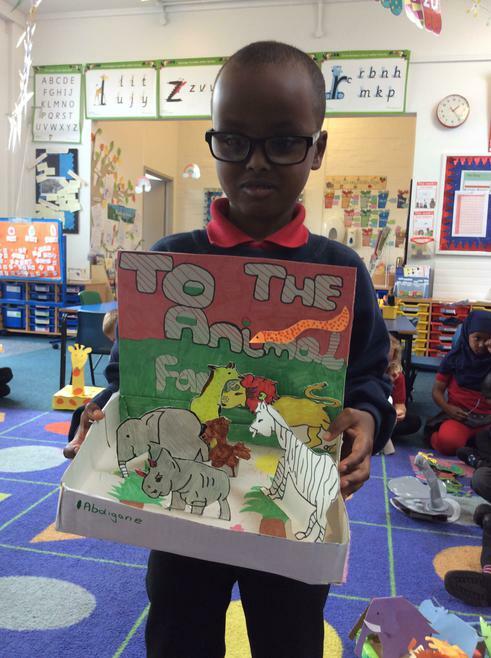 The children really took their time and we definitely have some budding artists in the class! 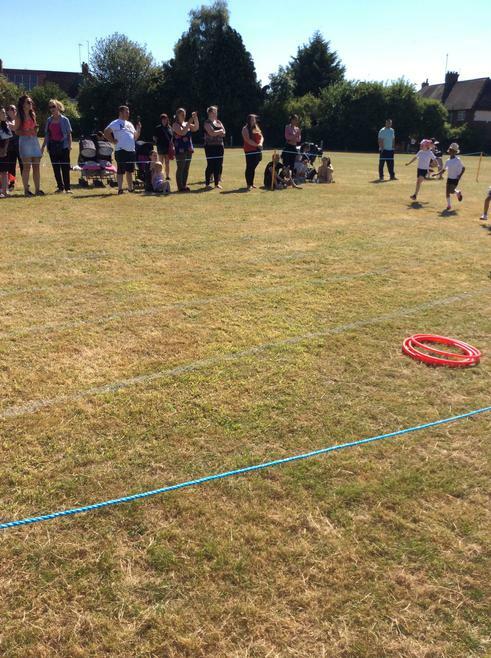 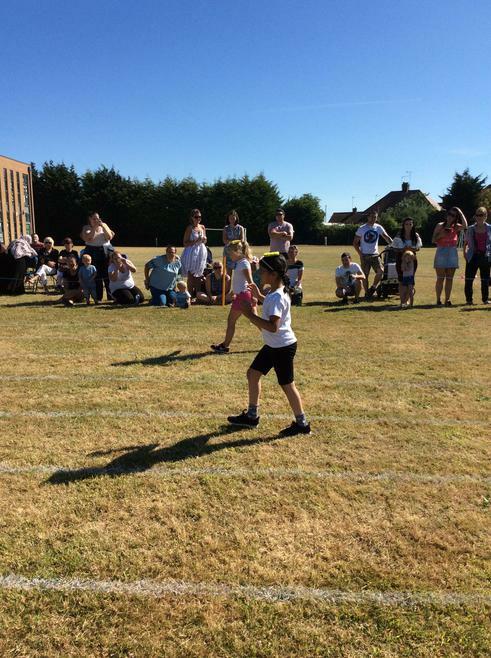 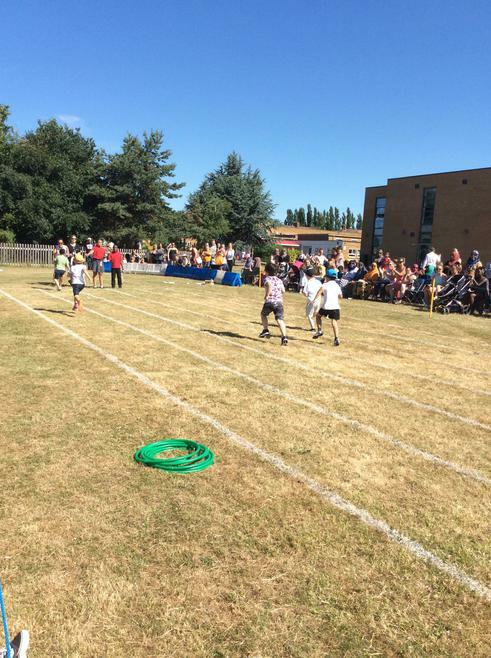 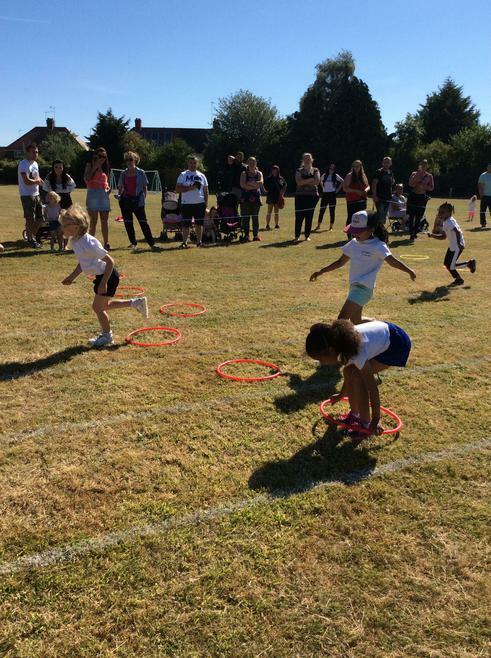 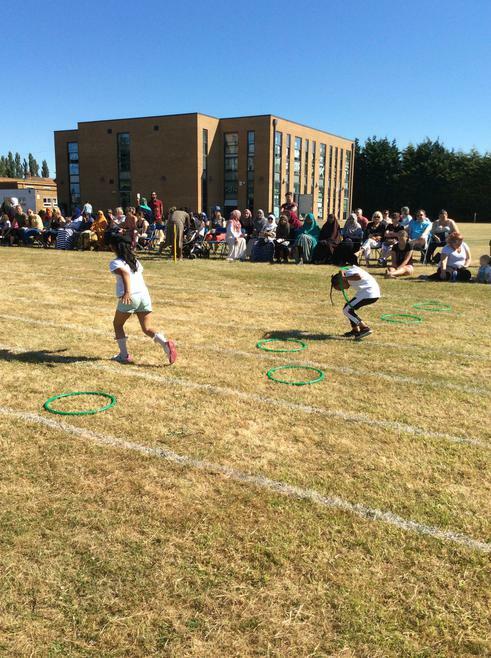 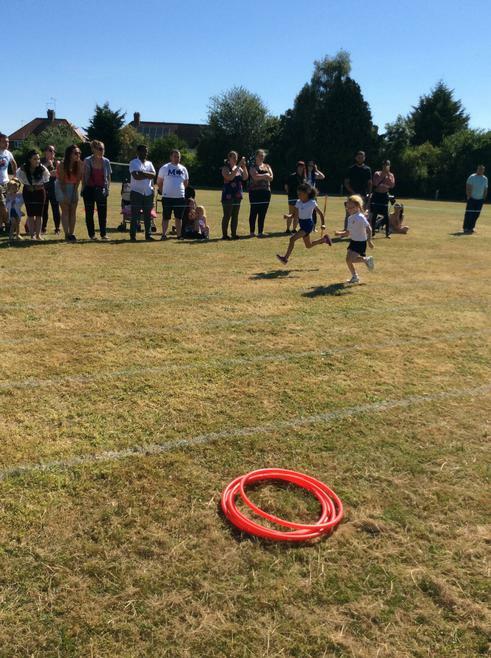 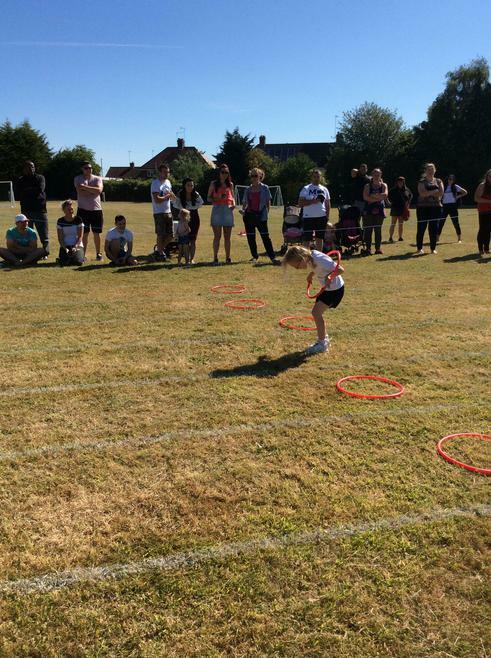 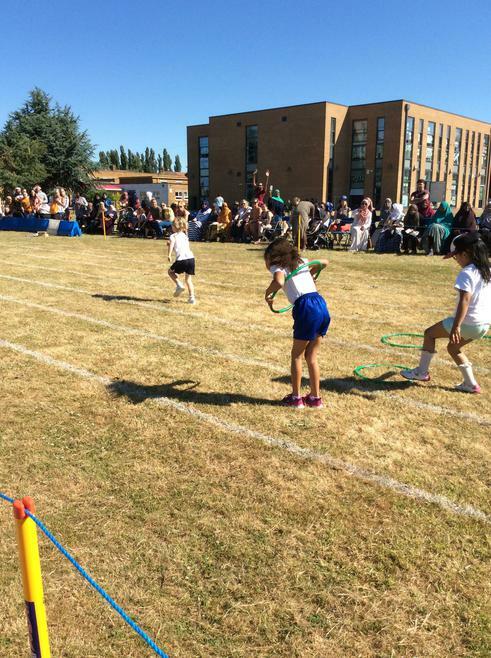 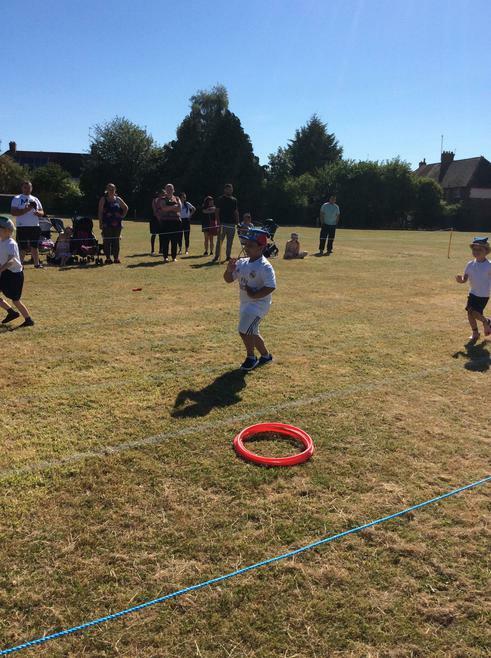 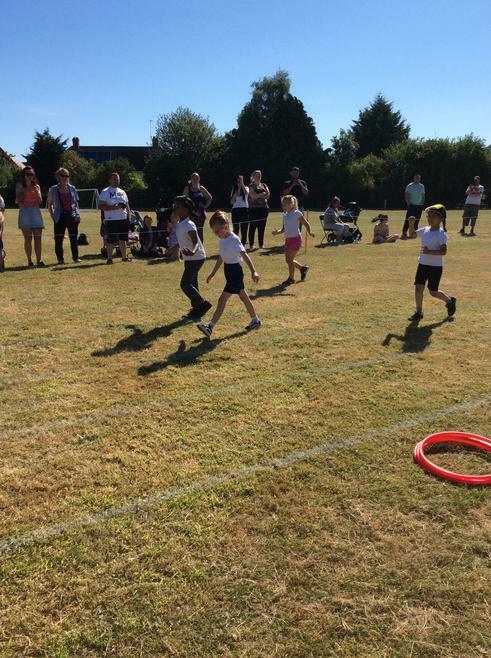 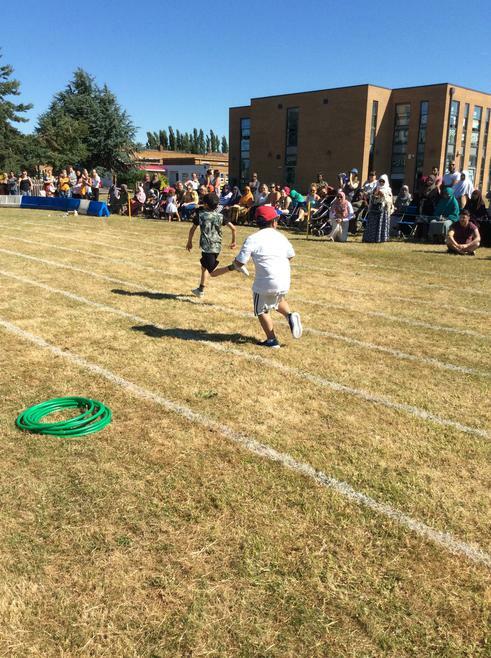 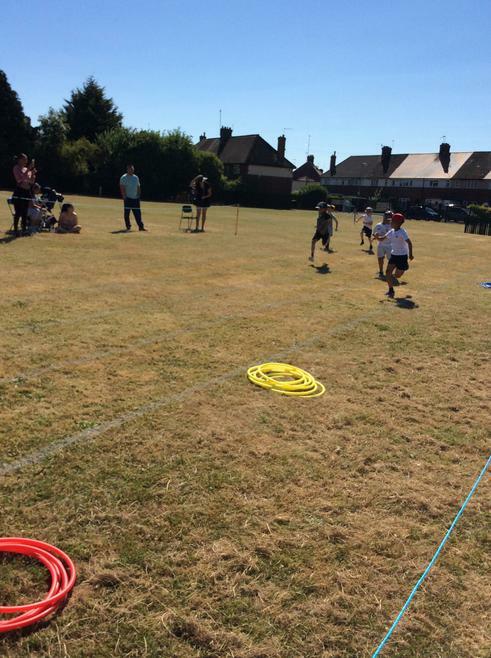 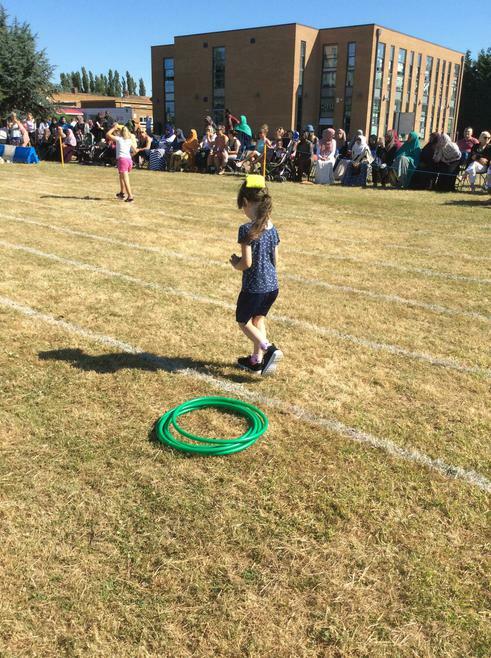 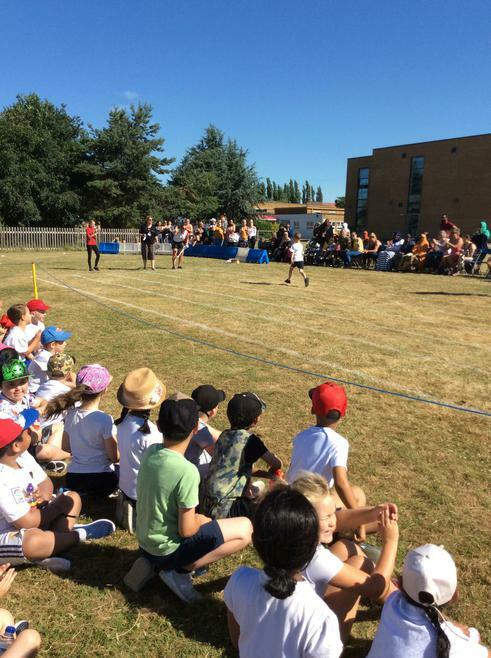 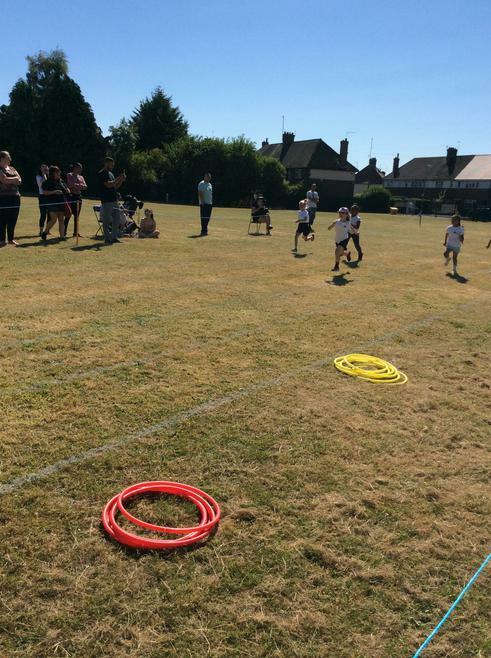 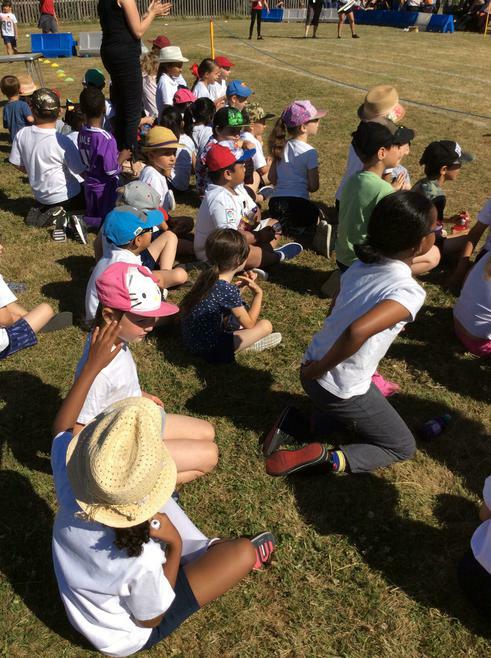 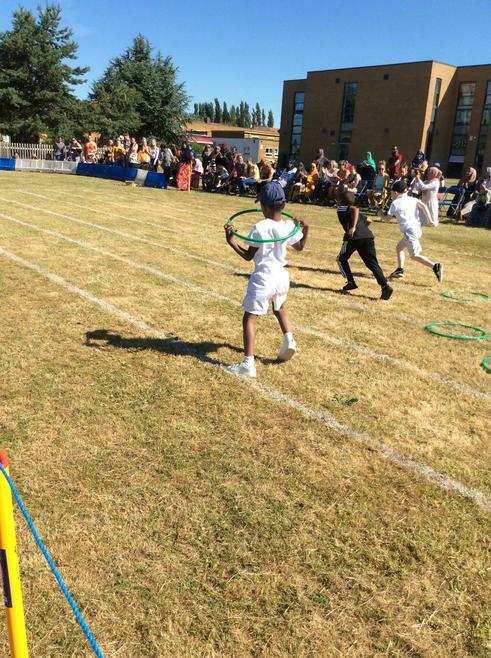 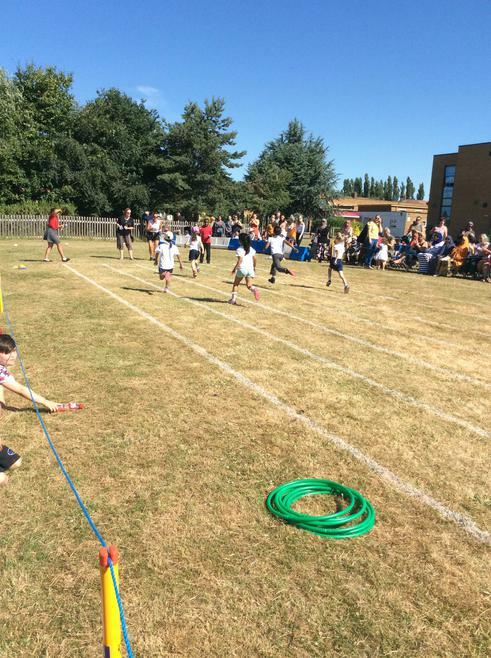 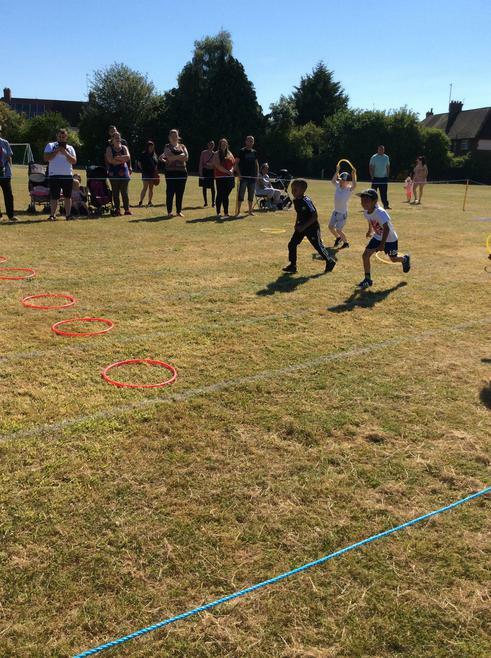 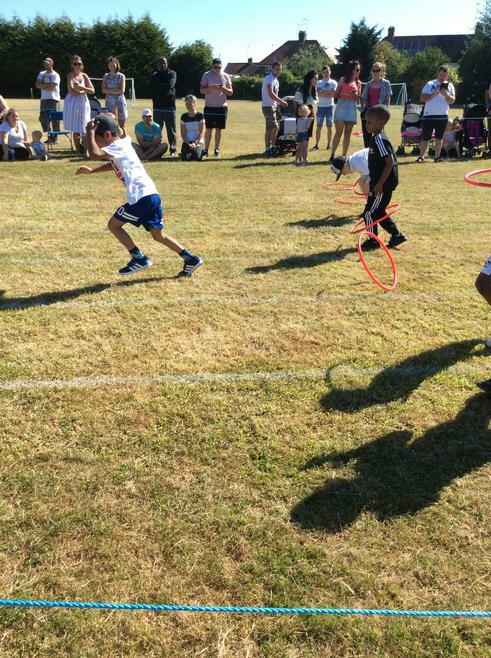 The children really enjoyed their sports day and they all did fabulously in their races! 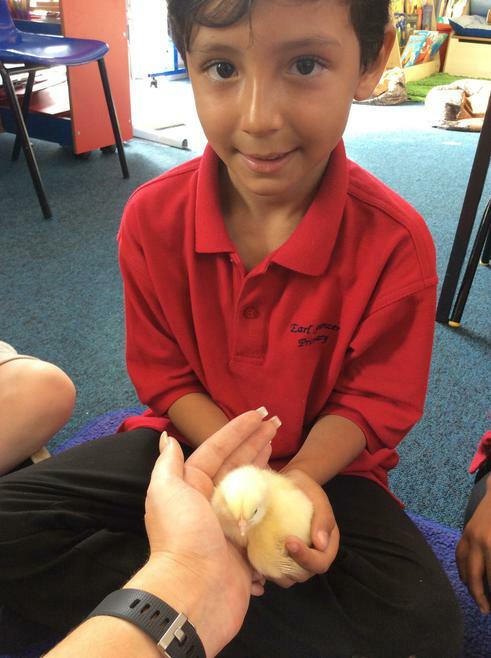 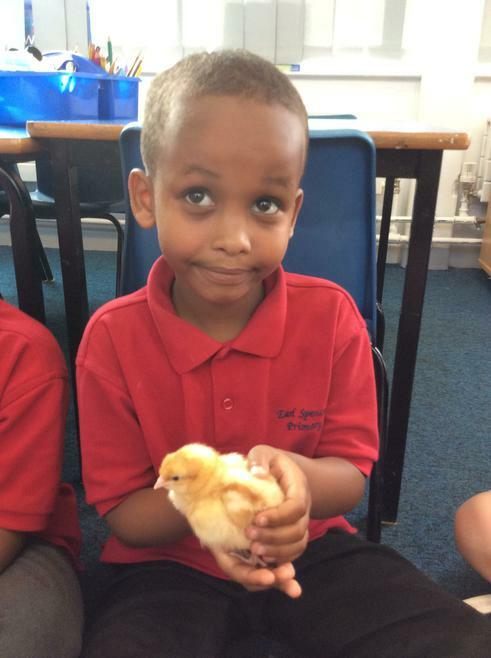 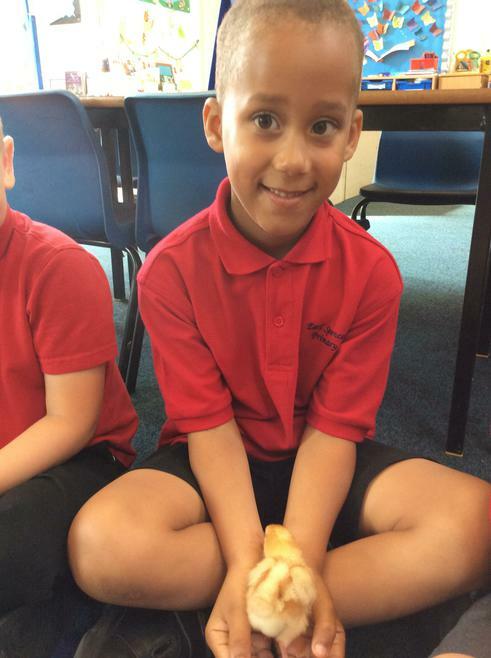 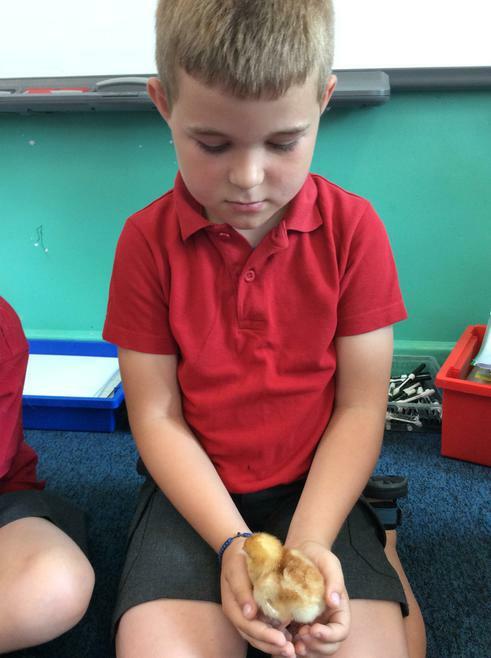 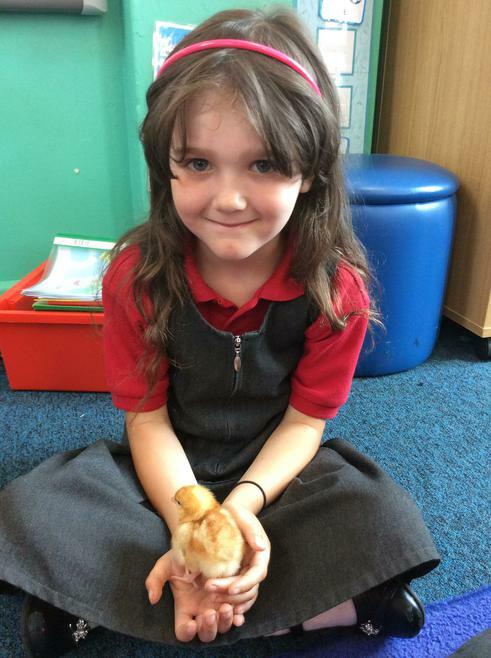 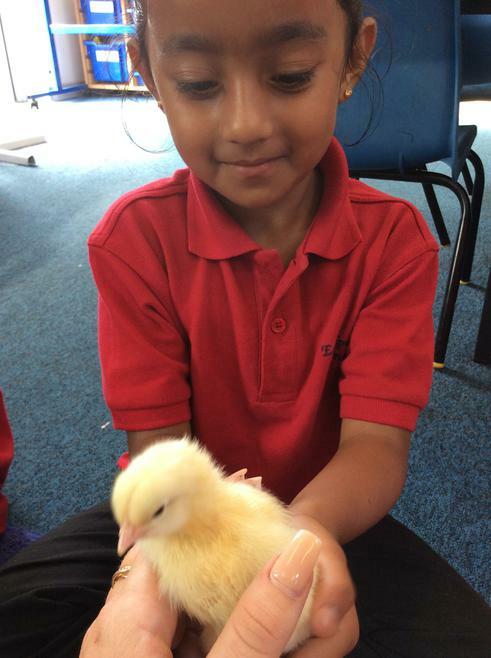 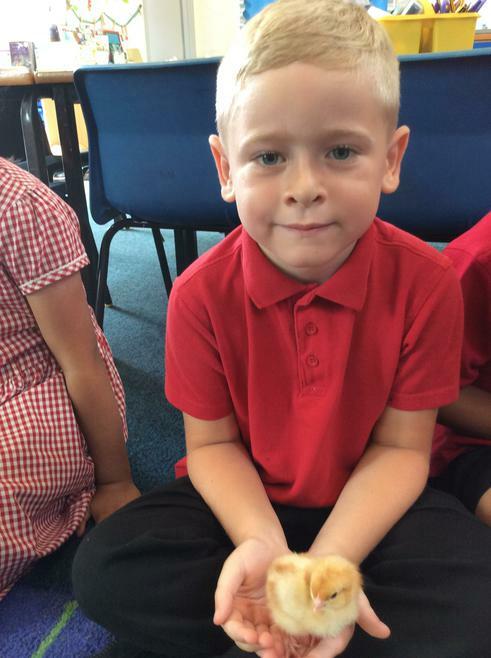 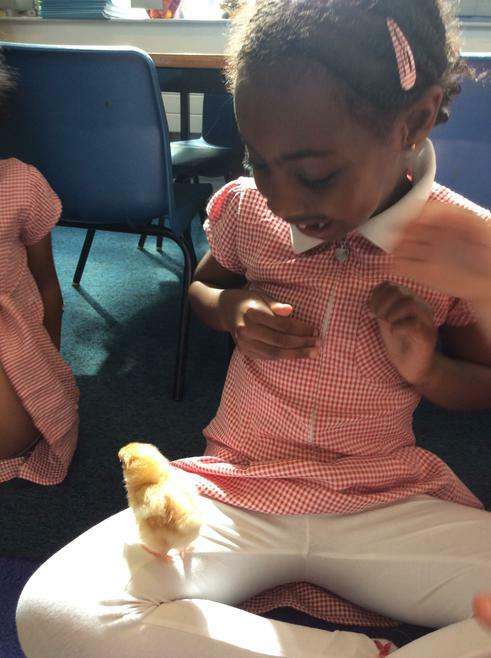 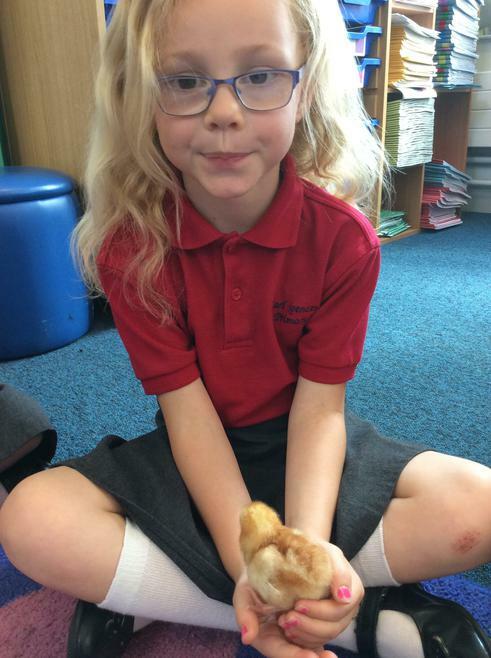 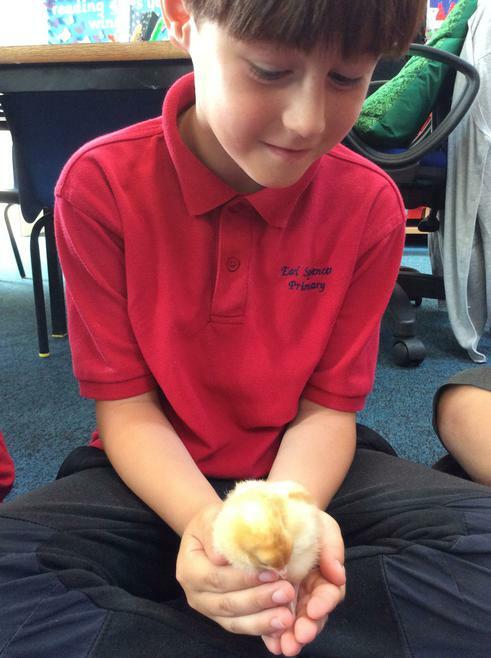 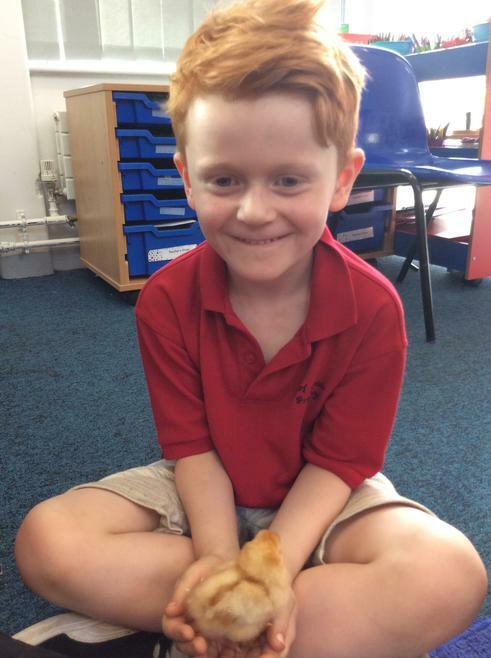 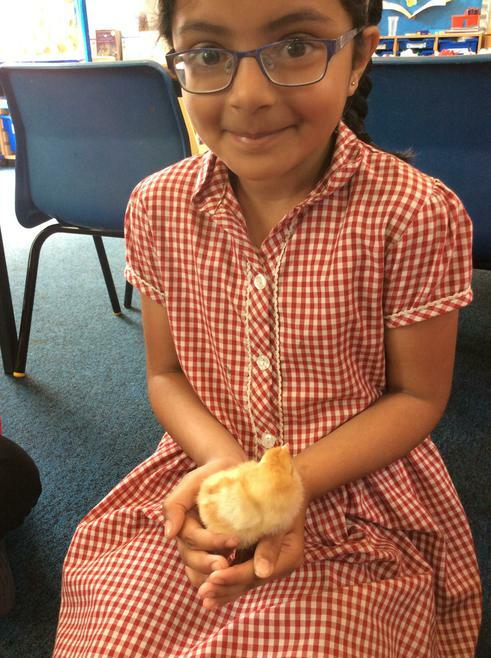 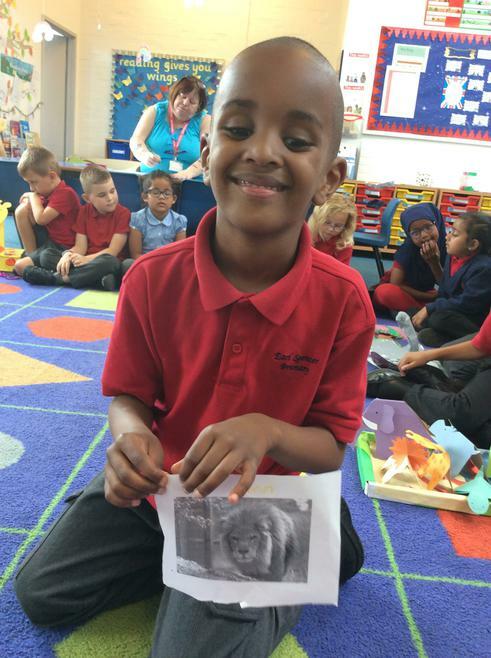 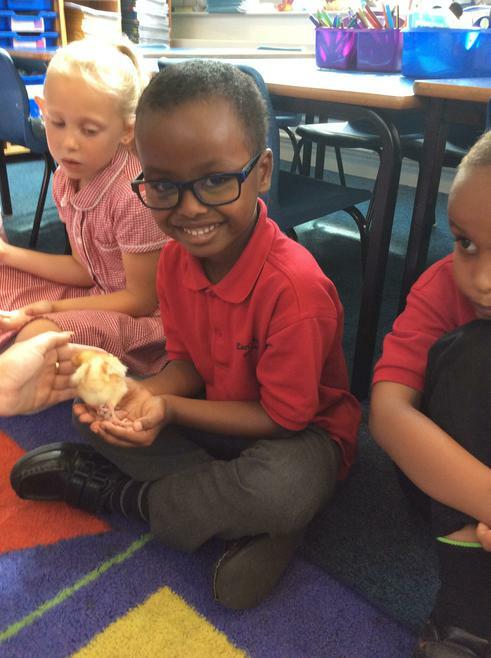 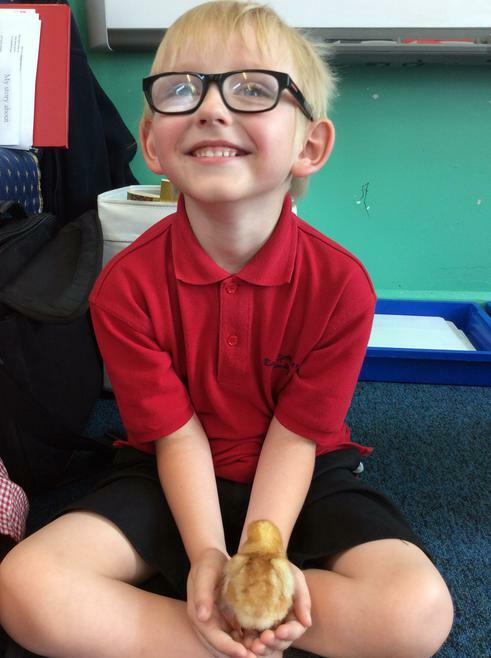 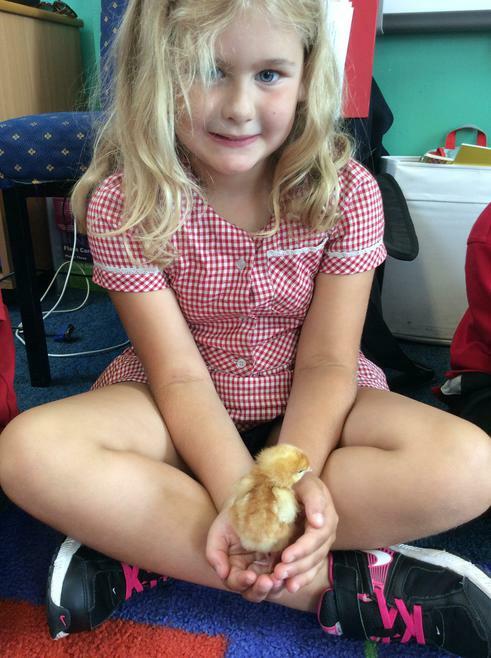 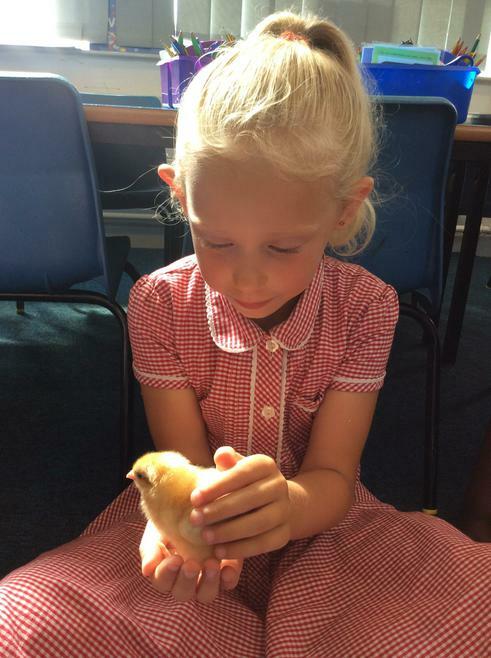 Hazel class loved having the chicks for the morning. 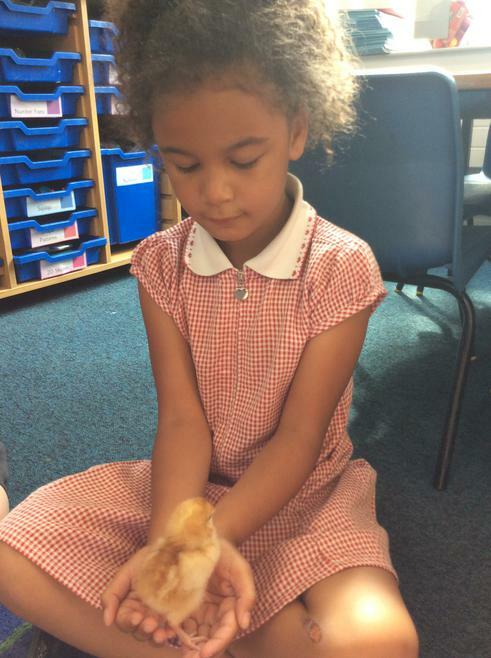 All the children held or stroked the chicks and they were very cute! 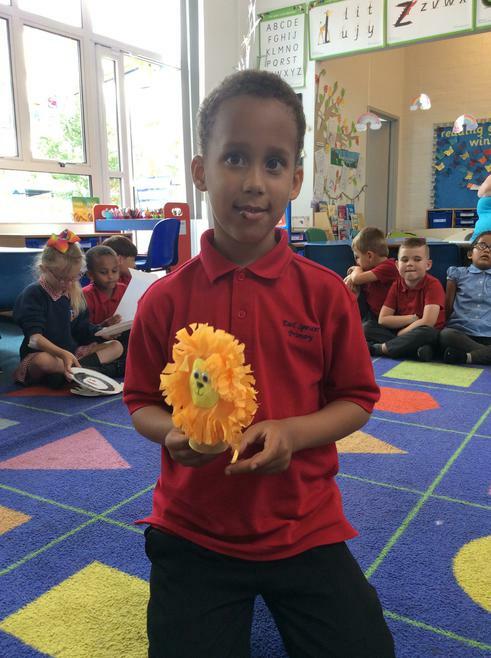 Some year 6 children came to Hazel class to share some of their lovely stories they had written and the children loved it. 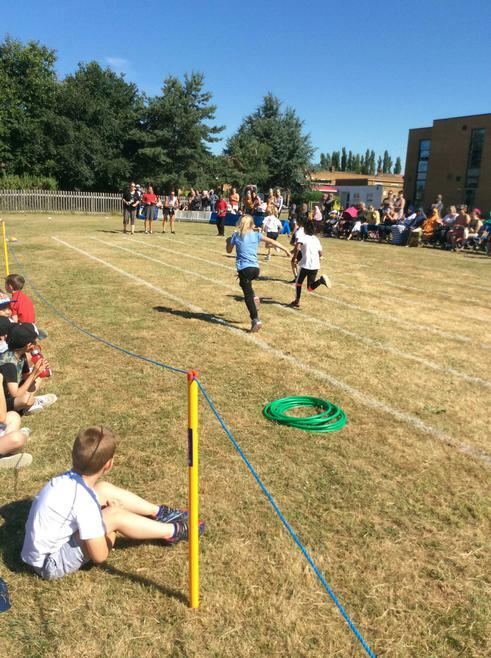 There are definitely going to be some teachers in year 6, they were brilliant. 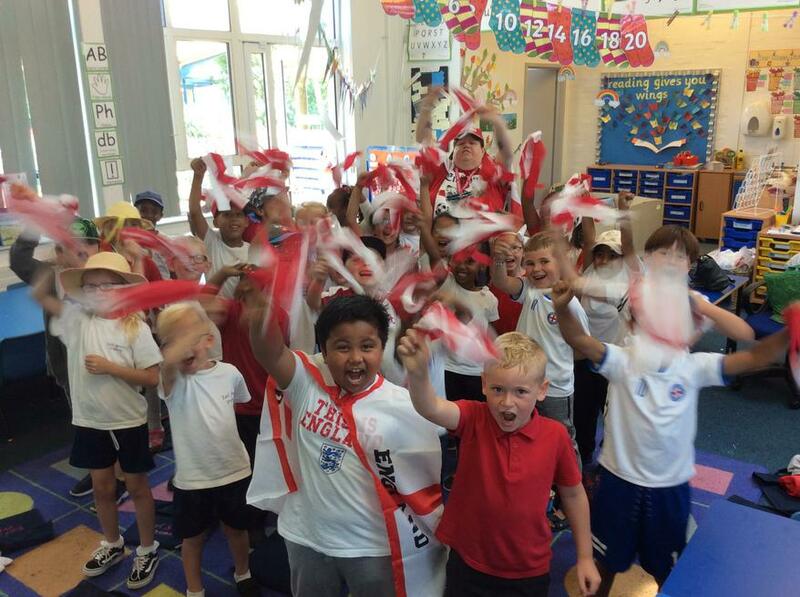 Hazel class are cheering on England!